First Andrew Bailey just before the season started and now 7 games in it appears that Jacoby Ellsbury is going to miss significant time. WEEI is reporting that Ellsbury suffered either a sublexation or separated shoulder and will be out for 6-8 weeks. This injury is potentially devastating to the Red Sox. Unlike catcher, infield and pitcher the Sox don't really have anyone in AAA ready to step in and do the job for an extended period of time. This is where Ryan Kalish would have been able to step in and fill the void, but I don't believe that anyone that they have in Pawtucket now can step up and do the job. What will Cherington and Valentine do with the roster? Che Tsuan Lin was scratched from the Pawtucket lineup tonight so it appears as though he is on his way to Boston and Ellsbury is headed to the DL. I also believe that this injury makes it necessary to scrap the 13 pitcher idea and get a little more versatility on the bench. Justin Thomas would be a strong candidate for release which would open up a spot on the 40 man roster for someone like Pedro "Caramba" Ciriaco, Nate Spears or Jason Repko. Lars Anderson is already on the 40 man roster and he has been playing LF in Pawtucket so he could be added, but I believe that he needs more time in the outfield at Pawtucket before he is ready to play there in the big leagues. Then there is the fate of Carl Crawford. Does the Ellsbury injury force the Sox to speed up his timetable for a return and reduce the amount of rehab at bats? I don't think that would be smart. Crawford should not come back until he is full speed, hopefully around the start of May. With Ellsbury out for two months it is essential that Crawford come back when he is full strength, and not too soon then he may be lost for a longer period of time. Hold down the fort with Lin, Ciriaco, Repko et al until Crawford is healthy and then Crawford will have a spot waiting for him in the batting order (either 1 or 2) when he does come back which may help him settle into a consistent role. 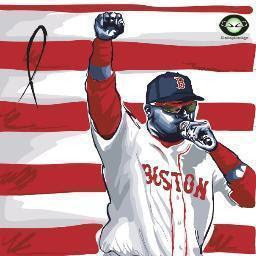 So the story early in the season now becomes will this be a season where there are too many injuries to overcome or will the Red Sox be able to fill the holes and stay competitive. The answer to that may lie in the starting rotation. If they can get starts like they have the last two games from Lester and Beckett. They still have enough offense without Ellsbury to compete and they will win a lot of games. Hopefully we have gotten our major injuries out of the way and we can get people healthy as the season goes on. On a positive note it appears as though Rich Hill and Andrew Miller may be close to returning to the bullpen (which makes Thomas' release more likely) with Dice-K and Crawford around the corner as well. What has been up to this point one of the most dramatic and entertaining Sox seasons in some time continues to take dramatic turns. This season is certainly not going to be boring. Tomorrow we go for two in a row for the first time since August of '11. 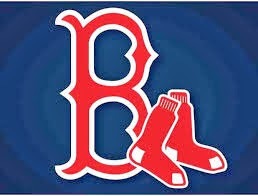 I look for Buchholz to back up Beckett's good performance today with one of his own. Let us know what you think the Sox should do to replace Ellsbury. What does this injury mean for Crawford? Can the Red Sox still compete for the postseason or does this year just seemed to be doomed before it gets going? Leave your comments to let us know how you feel. Barry, I agree there is no one in the system who by themselves can replace Jacoby. As I mentioned under the" real opening day "post the initial help must come from the now starting OFers to each step up their game. This morning on Comcast I heard Joe Haggerty say the Sox have no one who can " approximate" what Ellsbury gives them. I disageee. Carl Crawford can "approximate" what JE gives them. It is crucial to get CC back as soon as he can. Hopefully it will be LIn and he also can help in the defense and speed catergories. Lin also has a little pop from the right side, if he can handle MLB pitching. Still a tough, tough loss. Let's hope it is only for the the 6-8 weeks and not longer. Good point here Deacon. I think if Crawford can get 100% healthy this injury might actually be a hidden blessing for him. Ellsbury and he are similar players which is part of the reason why Crawford never really fit into the line up a year ago. As far as Ellsbury's timetable with a shoulder injury it would be unreasonable to think that he is going to come back after 6-8 weeks and be the hitter/defender that we are used to. It will be 6-8 weeks before he heals and then he's going to need a week or so to begin baseball activities and then a 1-2 week rehab assignment so we are realistically looking at 10+ weeks before he is back and that's assuming he has no set backs. According to Ellsbury's Twitter, he has a subluxated shoulder. I don't think we can automatically accept WEEI's report that he will be out 6-8 weeks. It is good news that his shoulder was subluxated and not dislocated. He needs to wait a day or two to allow the swelling to go down before the extent of the damage can really be determined. I believe it's still possible that he is out much less than 6-8 weeks. It could be as little as 2-4. Although with Ellsbury's history of coming back from injuries he might not be back until 2013. However, I don't think we can believe any report with a timetable attached to it yet. It is too early to attach a time table, and if this were a different sport maybe you could come back from this injury in 2-4 weeks. In baseball I believe he's going to be out closer to the ten weeks I predicted above.